Are you dreaming of unforgettable holidays in Greece with the wonderful sunshine and the big sandy beaches with deep blue, clear waters? Then Zante is the ideal place for you! What can somebody say for the place he was born, lives and loves? It seems more like a composition with a subject my town. My town, island to be accurate is like a heaven to earth! Zakynthos, sometimes called Zante in English, the third largest of the Ionian Islands in the southwest of Greece, covers an area of 410 km² (158 sq mi) and its coastline is roughly 123 km (76 mi) in length. The island is named after Zakynthos, the son of a legendary Arcadian chief Dardanus. Homer calls it ‘Iliessa’, which means forested. A wonderful combination of green and blue follows the island and steals your heart forever! Zakynthos is the elite of Sun, that chose this unique island to give us generously its gifts! From May till October it hardly ever rains, while the temperature is kept at an average of 35 Celsius degrees! What are the words that come to your mind right now? I would think of beach, swimming, sunbathing, cold beers or cocktails, nice food, love under the moonlight, amazing sunsets with my girl and whatever you can add…. Zakynthos is here to offer you all the above including anything else you might have thought of! Could somebody know Zakynthos better than a Zakynthian? 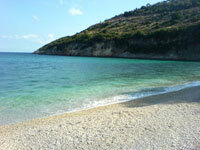 Searching for an apartment for sale in the island of Zakynthos Greece? Then look no further… Six apartments in a newly built block of flats in the area of Agrilia, Mouzaki, Zakynthos Greece close to the famous resort of Laganas are on sale in a very good price. In a wonderful area of 1416,07 square meters that offers a lively and unique sense of freedom the property for sale is nothing else than a modern block of flats of 2 floors that consists of 6 autonomous apartments (3 with three bedrooms and 3 with 4 bedrooms). The whole building, six apartments and the exterior area, a total land of 1417,06 m2 are for sale in the unique price of 850.000€ ! The apartments consist of 2 bathrooms, big lounge, lively living room, kitchen, breezy balconies, fitted wardrobes and parking. Each apartment enjoys privacy and has got its own water found. The whole building is in enclosed space and is characterized by its comfortable spaces and the beautiful garden with the grass and the fountain in the entrnace of the block of flats. As far as the construction is concerned the apartments have been built with fine quality materials and full respect to the environment. Find more information about location, why Zakynthos, contact and have a virtual tour of the block of flats through a photo gallery. Apartments – block of flats – homes – houses for sale in Zante Zakynthos!! The site is also available in Greek and Russian language. 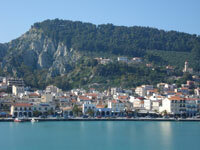 Searching for a house home or maisonette for sale in the island of Zakynthos? Then look no further… Two newly built modern houses are waiting for you in the home of the famous Shipwreck, the evergren island of Zante. Charming and well built modern style family homes. Enjoy both privacy and convenient location. Great for the explorer and the scholar. These newly built houses are cozy and nicely appointed. They are close to Laganas resort which is full of restaurants, shops and all amenities. The houses consist of three pleasantly appointed bedrooms with breezy balconies with an amazing view to the sea and fitted wardrobes, three bathrooms, an open plan fitted kitchen, living-room, fireplace, store room and parking. The houses are built with fully respect to the environment and fine quality materials combining concrete and stone. Find more information about location, legal points, contact and have a virtual tour of the houses through a photo gallery. Newly built maisonettes for sale in Zakynthos! !